When people sing together, magic happens -- forming community, bridging differences, awakening creativity and giving each of us the courage to bring our voice more fully into the world. 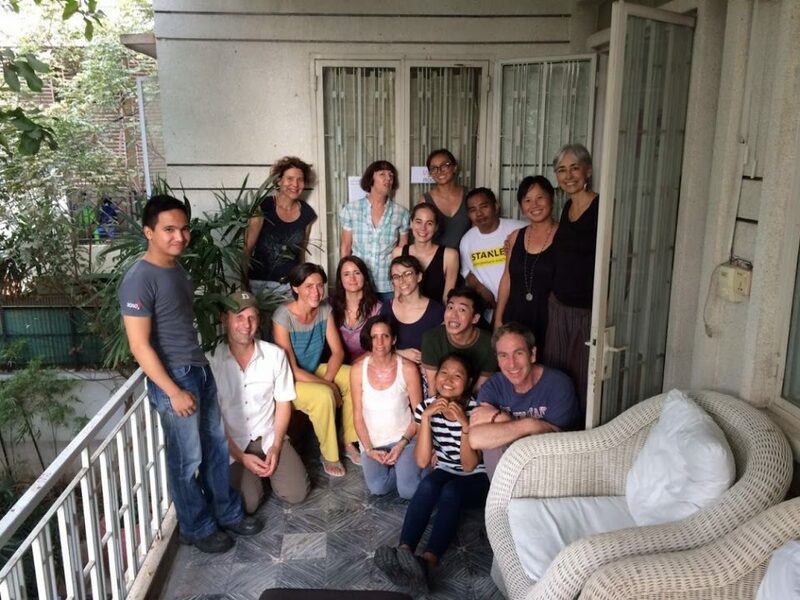 We energize and bring joy to those served by NGOs through regular group singing classes and choirs. Our strategy is to customize singing classes and curriculum and to train Singing Guides within our partner organizations so they can make singing an integral part of their programs. The invitation is simple. Come sing with us! People from all backgrounds, nationalities and singing abilities come to our open Community Choirs and sing Khmer songs and songs from around the world. It’s a great way to bring some energy and community into your life. No experience necessary! We have a big vision, the possibility that Cambodia is a country alive with singing, from the villages to the cities, from the classrooms to the factories. Our Singing Guides are the inspiring people who are making that vision real every day. 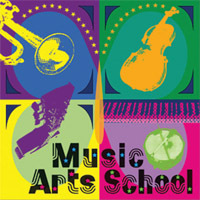 We train and support those who love singing to facilitate group singing. to learn more about our programs and to come sing with us! Funga Alaphia - Cambodia Sings! Cambodia Sings! is dedicated to rekindling the joy of singing for all Cambodians. We are igniting the joy of group singing in Cambodia. Singing together creates a safe opportunity to express yourself, bridge differences and build creative confidence. 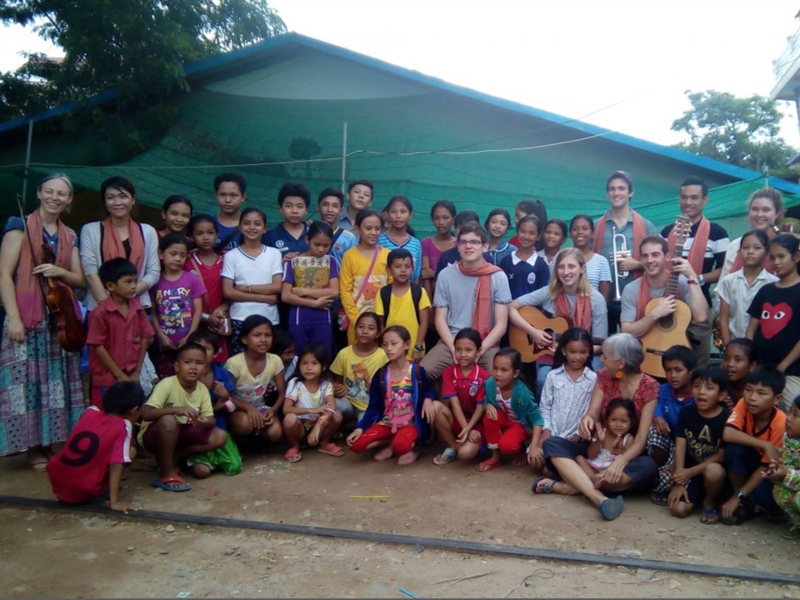 With our evolving volunteer team of local and visiting singing guides, we partner with schools and NGOs to add group singing into their work with young people. For many of our participants, singing has become a rare opportunity to realize that their voice is valued and important. The singing culture of Cambodia suffered a tragic setback during the Khmer Rouge era. Famous singers were killed and people who raised their voices in any way risked their lives. This national silencing left a legacy of fear of speaking and singing up. With rare exceptions, singing is still not taught in the schools. But the culture and diverse artistic richness in Cambodia are rising again. We’re committed to a future where singing together is part of every Cambodian child’s experience of growing up and finding their place, their voice in the world. We see a future where Cambodia is known for the richness of its singing culture. Your generous support will help us bring the joy of singing to more and more young people in Cambodia. Any amount makes a difference and helps us train Singing Guides, transport them to our partner schools and NGOs, give our singing youth an opportunity perform and pay our small and dedicated volunteers. 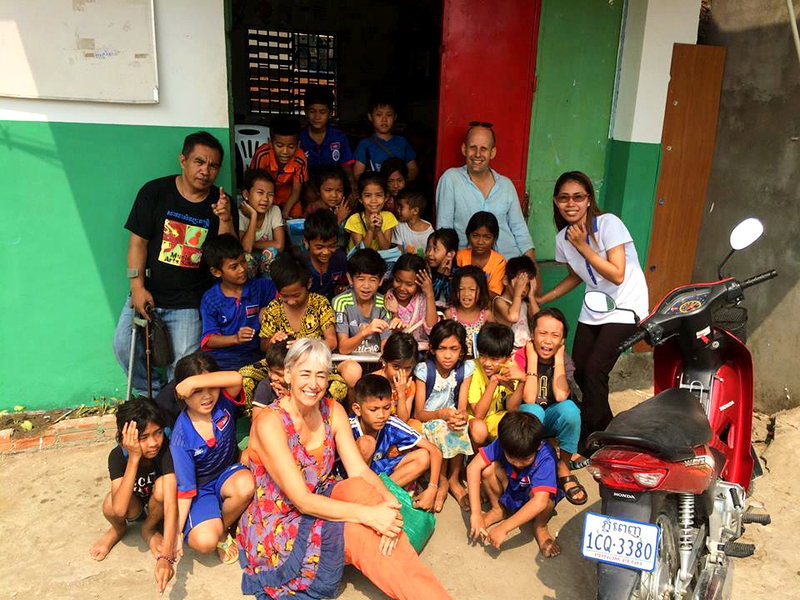 © Cambodia Sings "Re/kindling the joy of singing for all Cambodians"